Shopping for a new Kia for sale near Meriden? 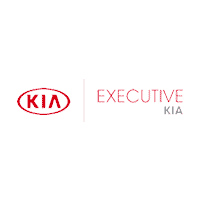 With over 117 new vehicles to choose from, you’re certain to find what you’re looking for here at Executive Kia. Choose from a large selection of popular Kia SUVs like the new Kia Sorento and Kia Sportage. We also stock plenty of new Kia cars for sale including the compact Forte and the larger Kia Optima. With such a large selection of new Kia models, we’re sure you’ll find one with the features and options you’re looking for at a price that fits your budget. Perfect Price Policy – Get our best price first without the hassle of negotiating. Once you’ve browsed our inventory and found the perfect new Kia for you, it’s time to get behind the wheel for a test drive. Contact us at your convenience to schedule your visit to our showroom in Wallingford near North Haven.